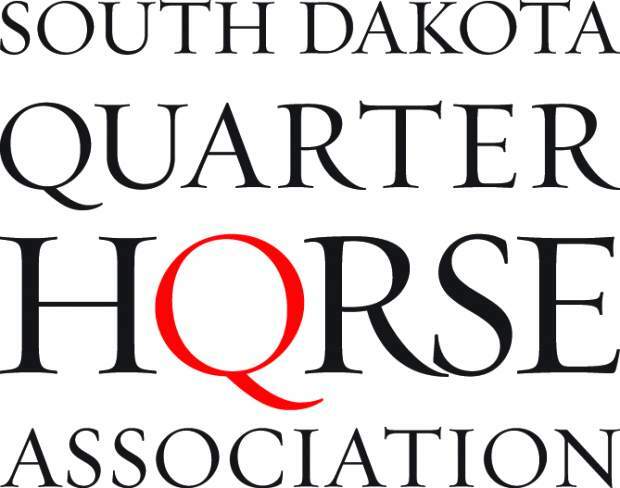 Even though the Awards Banquet program read Jan. 12, 2013, the South Dakota Quarter Horse Association annual convention wasn't held until Feb. 23. Due to weather, a last minute decision was made to reschudule and they chose a beautiful weekend near Chamberlain, SD – on the west banks of the Missouri River at Cedar Shore Resort in Oacoma. 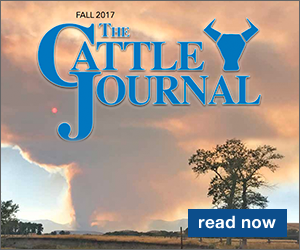 Promoting the American Quarter Horse continues to be the main focus of the association – now into it's 65th year. 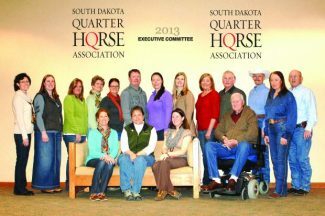 The SDQHA Executive Committee met on Friday evening and then reconvened on Saturday morning to finalize the association business. 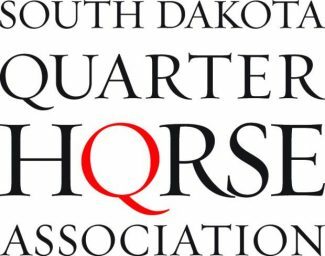 Also meeting on Saturday was the South Dakota Quarter Horse Youth Association and their meeting concluded with the election of new officers for 2013. 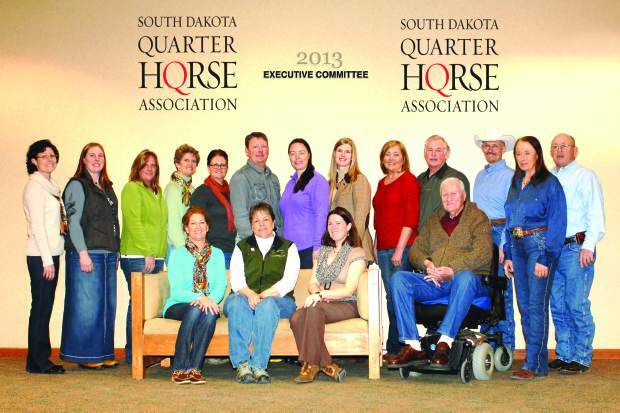 The SDQHA general membership met in the afternoon and and included the election of their new Board of Directors. 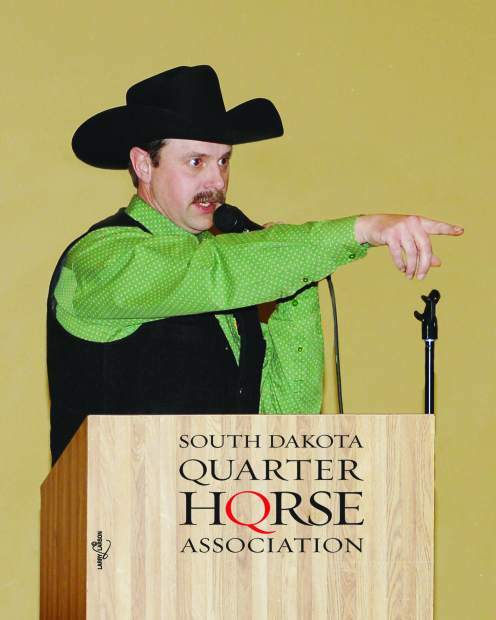 In the evening, a social hour, banquet, silent auction, live auction with auctioneer Carter Johnson and presentation of the 2012 SDQHA and SDQHYA Year-End Awards finished off the day. In honor of attaining their AQHA Youth Championsips in 2012, two SDQHYA members, both from Belle Fourche, furnished cake that was served following the banquet. 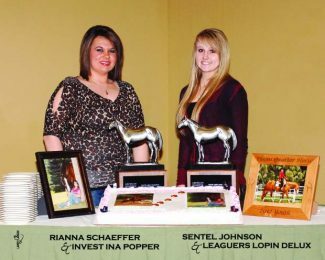 Rianna Schaeffer showed Invest Ina Popper and Sentel Johnson showed Leaguers Lopin Delux to their ChampioSDQHA nships this year. Newly elected officers to the 2013 Executive Committee are President Kerry Papendick, Rapid City; Vice-President Rosie Elmore, Hot Springs, SD; and Kristen Gonsoir from Groton was reappointed as the asscociation Secretary/Treasurer and webmaster of their site http://www.sdqha.com. Immediate Past President Amy Krueger, Ferney, will also remain on the board for one year. 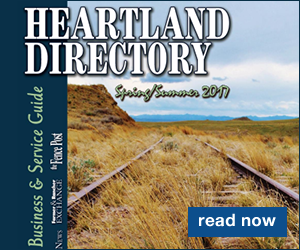 Completing the new Board of Directors will be – East: John Kabeiseman, Yankton; Amy Krueger, Ferney; and Dean Townsend, Andover. 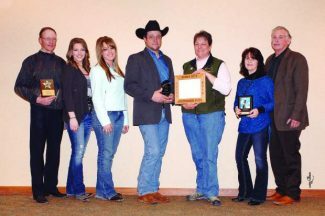 West: Kerry Papendick, Rapid City; Becky Johnson, Vale; and Heather Sutton, Gettysburg. Central: Kim Fordham, Aberdeen; Vanessa Gravatt, Woonsocket; and Debbie Holmes, Virgil. At Large: Jodie Svennes, Toronto; Rosie Elmore, Hot Springs; and Penny Peterson, Mitchell. 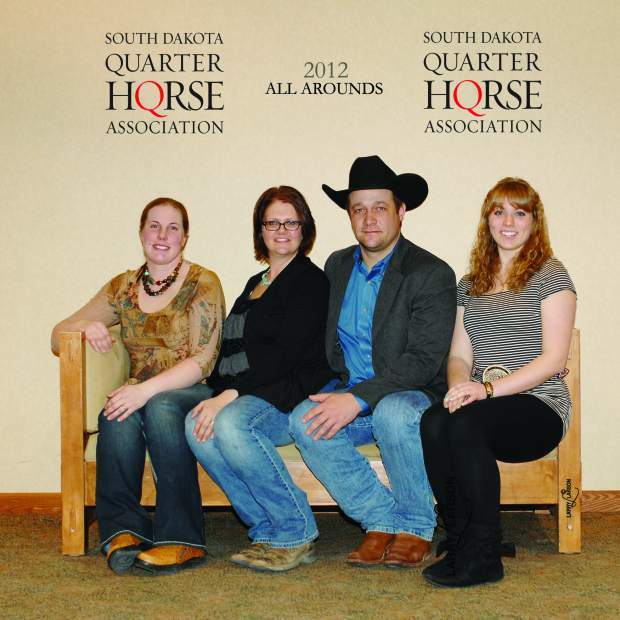 Youth Advisor Tiffany Lesmeister-Knott, Redwood Falls, MN, will also remain on the SDQHA Board of Directors for 2013. AQHA National Directors representing South Dakota at the National level are Larry Larson, Rapid City; Mike Clites, Brookings; Georga Sutton, Gettysburg; and Janet Hansen from Fort Pierre. Director at Large is Dr. R.M. Christensen along with Director Emeritus Jim Hootman, both from Harrisburg. 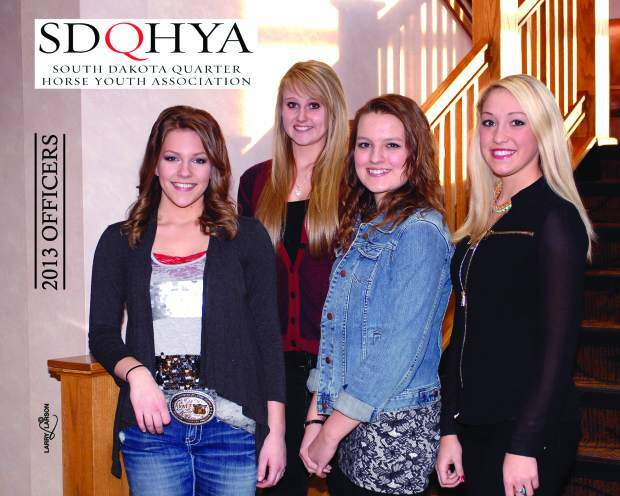 They will represent SDQHA at the 2013 AQHA Convention being held March 8-11 at the Hyatt Regency Houston in Houston, TX. The SDQHYA will be led in 2013 by President Hattie Erickson, Britton; Vice-President Sentel Johnson, Belle Fourche; Secretary Gina Elmore, Hot Springs; and Jade Gaukel from Yankton will serve as the Treaasurer. Reporter for the youth association will be Beth Seidel, Bison. Youth Advisors are Tiffany Lesmeister-Knott, Redwood Falls, MN, and Linda Johnson from Belle Fourche. Special award winners announced at the evening presentation included SDQHA Sportsmanship winner Rosie Elmore from Hot Springs and the Most Valuable Professional Horseman Dean Johnson from Vale. The SDQHYA announced Stephanie Johnson, Belle Fourche, as their 2013 Sportsmanship winner; Leslie Elmore, Hot Springs, a student at South Dakota State University in Brookings, was presented as their 2013 Scholarship winner; a special youth associaition sponsor award this year was given to Mike & Vicky Clites, Brookings, and Sponsor of the Year was presented to Michelle Erickson from Britton. 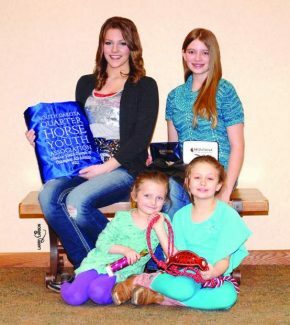 Others honored that evening for their contributions to SDQHYA were Gold Buckle Show Management, Kabeiseman Quarter Horses, Townsend Quarter Horses and Rosemary McCoy. Special help certificates were also presented to Walker Horn, Rapid City, and Khris Rodriguez from Gordon, NE for their continued dedication to the youth fund raisers. PERFORMANCE GELDINGS: Just A Shady Guy, Mary Roes PERFORMANCE MARES: 1. CL Ole Kit Catn Lena, Lori McDowell; 2. Miss Kane Is Invited, James Hootman. NOVICE TRAIL: 1. Hattie Erickson, Get Tuff; 2. Cassandra Townsend, Arties Jazzin.